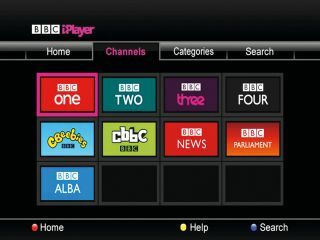 Smart TVs with internet connectivity will be the biggest traffic driver for the iPlayer in 2011, according to the BBC. Speaking at the Samsung Smart TV app developer day – the first of its kind in the UK – senior business development manager for the BBC Charles Tigges spoke of what he sees as the future of the iPlayer, saying: "In the next 12 months, the biggest iPlayer traffic growth will be on Smart TVs." Speaking to app developers, Tigges warned that the experience of using the iPlayer was different to using it on the desktop, saying: "When we created the iPlayer for TV, we learned that it was important to start with a fixed navigation for content on TVs. One place to get all your content. "You have to keep the functionality of the app simple and make the buttons bigger." Tigges also hinted as to what is in store for the iPlayer on TVs and said that the TV version of the iPlayer should get social networking functionality, like the new desktop iPlayer, "in the coming months," saying: "We are discussing how social features are going to work for BBC iPlayer on TVs." Tigges also believes that the use of the red button for iPlayer could be one way the service is integrated into TVs in the future. "Imagine a user is watching Top Gear on BBC 2, then they can click the red button and watch other programmes from the Top Gear archive straight away," he explained. And it is not just TVs which are to get new iPlayer functionality, the BBC is looking into a "companion service" for the on-demand app, with Tigges saying: "One opportunity which will transform the market will be the companion for iPlayer, where you can watch the iPlayer on TV then channel surf for another clip on your mobile and it will all be integrated."